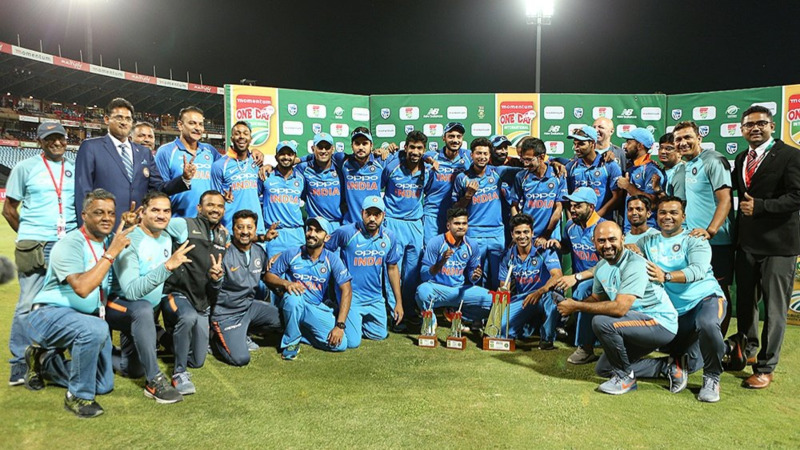 Bhuvneshwar Kumar talked about India's reasons for success on South Africa tour. Bhuvneshwar Kumar was one of the brightest outcomes from Team India’s tour to South Africa. Kumar was brilliant in the Tests and T20I series. He won the Player of the series in the T20Is for his performances. "We don't want to be too greedy and we are happy with these two trophies. Hopefully next time we will win all the three trophies," said Kumar. "This tour has been brilliant, particularly talking about Test series. Yes we lost two matches, but they were very close. We could have also lost 3-0 or won 2-1 instead. But it gives us confidence in whatever way we have played, and we are ready to go to England and Australia, and do better there," he added. Bhuvneshwar Kumar credited variations and timing as keys to success in T20 format. "T20 cricket is all about using variations and timing has to be perfect. Whatever knuckle ball I have bowled, I wanted batsmen to go after that. That way you can get wickets and that's one of the main reasons why I have been successful in power plays," he said. "T20 is such a format that finishes quickly, and you only have four overs. If there are three bad balls in one over you will go for runs and your whole analysis suffers. The team is on back foot because of three balls. So each and every ball becomes very important. It makes the bowler think. Every ball has to be proper and you have to execute the plan properly," said Kumar. "In Test matches you don't have to do something different as compared to ODIs or T20 cricket. It's not much variation but its about line and length. When you come to one-day cricket you look for yorkers and slower ones. It is never easy to switch between formats but it is all about practice and preparation. You need 2-3 overs to adjust when you play but when it comes to T20s, you have to be proactive and you cannot react after what the batsman does," he added. Bhuvneshwar pointed out the reason India won the T20I series was because of its success in power plays. 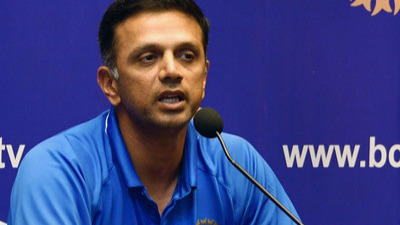 "Powerplays are very important in both formats, but you cannot win matches based on powerplays alone. If any team is down 4-5 wickets in the power plays but you still end up giving too many runs in the end, then you cannot win," he said. "Power play is an important factor to win matches but you have to contain the runs in middle overs and you have to do brilliantly in the death overs," added Kumar. "When bowling, I don't think I am the leader. Instead whenever anyone is bowling in this team, he thinks he is the leader. Then only we can win matches. Individually you need to have a brilliant day to take 10 wickets on your own. Mostly you can take only 4-5 wickets. So it's about partnerships and hunting in the pack. That's what cricket is about whether batting or bowling," said Kumar. Kumar praised the new faces from South Africa and said, "Heinrich Klaasen is an amazing player given the way he batted in the last two matches and in the ODIs also. They are very good players. When you play against new players, you don't know what their strengths are, especially Christiaan Jonker, we didn't know what he does. It is never easy to play first match against any player. They are new players but I think we bowled well to get them out." "We want to win the Test series (here in South Africa next time) but it won't be easy. We have done well this time but there is no guarantee that it will be the same next time. We might win all the three series but we might lose all. When we come again we will start afresh," he signed off.